As we prepare to ring in the New Year and to closeout the octave of Christmas, our Muslim brothers and sisters are observing the annual Hajj. Literally: Hajj means heading for an honorable person or place. Legally: Hajj means worshipping Allah by performing the Hajj rituals, which are defined as specific acts performed at a specific time and place in a specific way. There is agreement among Juristic schools over the Hajj definition. Today marks Eid ul-Adha for Sunni Muslims around the world, and for all Muslims making the annual Hajj. On this day, the pilgrims, having spent the night in Muzdalifah, go back to Mina. As the first part of the stoning of the jamarat ritual, pilgrims throw seven pebbles at the large jamrah (wall) in Mina. This is symbolic of stoning the devil. After this, an animal is sacrificed. Then, those making the Hajj return to Mecca to complete their pilgrimmage with the farewell tawaf, which is also the first act of the Hajj. The tawaf consists of walking counter-clockwise around the Kaab'a seven times - three times at a hurried pace and then four times at a slower, more leisurely pace. 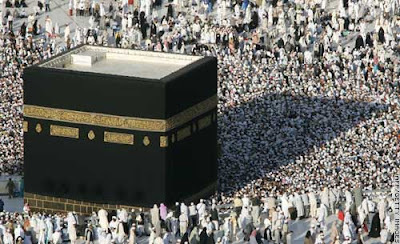 There is agreement among Juristic Schools on the obligatory and necessary rituals of Hajj. "O Allah! O Controller of hearts, make my heart firm in Your faith. O Allah! I beseech You for what deserves Your Mercy, Your Forgiveness, and Safety from every sin. Grant me admission to Paradise and protection from the Hell Fire. O Allah! I beseech You for guidance, virtue, chastity, and self-sufficiency. O Allah! Help me to remember You, to offer thanks to You, and to worship You properly. O Allah! I seek from You all goodness, whether I comprehend it or not, and I seek from You admission to Paradise, and every deed or words that make this possible. I seek Your protection from entering the Hell Fire, and from every deed or words that make this possible." Sa'i is the ritual act of walking seven times between the knolls of Safa and Marwah on the first day of the Hajj. This act retraces the footsteps of Hagar, wife of Prophet Abraham, during her desperate search for water for her infant son Ismail after they were left in the desert by Prophet Abrahim in response to a Divine vision. The hajji recites this prayer s/he walks. It is important to remember that Arabic-speaking Christians call God Allah. They have done this since long before the advent of Islam. With that in mind, as Catholics, let us not lose sight of what our faith teaches. In numbers three and four of Nostra Aetate in which we state "The Church regards with esteem also the Moslems. They adore the one God, living and subsisting in Himself; merciful and all- powerful, the Creator of heaven and earth, who has spoken to men; they take pains to submit wholeheartedly to even His inscrutable decrees, just as Abraham, with whom the faith of Islam takes pleasure in linking itself, submitted to God. Though they do not acknowledge Jesus as God, they revere Him as a prophet. They also honor Mary, His virgin Mother; at times they even call on her with devotion. In addition, they await the day of judgment when God will render their deserts to all those who have been raised up from the dead. Finally, they value the moral life and worship God especially through prayer, almsgiving and fasting. "Since in the course of centuries not a few quarrels and hostilities have arisen between Christians and Moslems, this sacred synod urges all to forget the past and to work sincerely for mutual understanding and to preserve as well as to promote together for the benefit of all mankind social justice and moral welfare, as well as peace and freedom. "As the sacred synod searches into the mystery of the Church, it remembers the bond that spiritually ties the people of the New Covenant to Abraham's stock." David Pinault, who is professor of Religion at Santa Clara University, in an article in America magazine about a year ago, briefly described an undergraduate course he taught on The Islamic Jesus. He began the course by focusing "on Koranic portraits of Jesus". By studying what the Qu'ran says about the Lord we "learn that Islamic scripture reveres Jesus, referring to him as the son of the Virgin Mary and as a prophet second in rank only to Muhammad". It is also important to keep in mind what Nostra Aetate emphasizes about Islam, which is that "Islam, as an Abrahamic tradition, honors a number of figures familiar to Jews and Christians from the Bible, including Noah, Moses and Solomon". It is in sura 19 of the Qu'ran that we read of Miriam, please go and read for yourself. Given the grave ignorance, which leads to misunderstandings, that, in turn, lead to oversimplification and vilification of the other, it seems crucial as we enter a new year to think on these things in light of our own faith. This means knowing what the Church teaches regarding other faiths. One can do no better than beginning with Nostra Aetate, progressing to Huston Smith's The World's Religions: Our Great Wisdom Traditions, as a general survey, before reading the late Jesuit Fr. Jacques DuPuis' Christianity and the Religions: From Confrontation to Dialogue, a Catholic and catholic survey. Of course, again, I provide the link to Global Ethic Foundation, which is dedicated to making common cause among people of all faiths and making religion a source of understanding, compassion, and peaceful cooperation. I have diligently written this blog for months now. Catholic Deacon is a blog orginating from behind what KRCL, an independent community radio station in Salt Lake City, has for years called the Zion curtain. In that time I have posted nothing on the Church of Jesus Christ of Latter-day Saints, known more popularly as the Mormons for their belief in the Book of Mormon as another testimony of Jesus Christ. So, it is nice to direct readers to the always thoughtful Fr. Richard John Neuhaus, who writes over on On the Public Square: Observations and Contentions about Massachusetts governor Mitt Romney's potential bid for the presidency of the United States in 2008. As most of you know, Governor Romeny is an active and faithful member of the Church of Jesus Christ of Latter-day Saints. Fr. Neuhaus' post takes the form of a critique of an article written by Jacob Weisberg of Slate.com in the Financial Times. Mr. Weisberg's article is, indeed, very uncivil and quite ill-considered. I must also state that, like Fr. Neuhaus, I do not endorse Mitt Romney for president, nor do I have a favorable view of foundational LDS beliefs. Mr. Weisberg describes these beliefs as the "whoppers of Mormonism". A concise overview of these "whoppers" are "that Joseph Smith, directed by the angel Moroni, unearthed a book of golden plates buried in a hillside in western New York in 1827. The plates were inscribed in ‘reformed’ Egyptian hieroglyphics—a non-existent version of a language that had yet to be decoded with the help of the Rosetta stone. Smith was able to dictate his translation of The Book of Mormon by looking through diamond-encrusted decoding glasses and burying his face in a hat". Along with Neuhaus, I also welcome the efforts by "very intelligent Mormons who are doing serious intellectual work to move their tradition toward a closer approximation of Christian orthodoxy". I relate here something I never tire of repeating to catechumens and candidates: the mysterium fidei is not something unknown because it is unknowable. It is known only because God has deigned to reveal it. While these mysteries, which are truly beliefs of faith, which is a gift from God, they are not demonstrable by unaided natural reason. But this is not to concede that these beliefs are unreasonable. In other words, they are not only impervious to critiques rooted solely in reason, they are reasonable in their own right and give deep insights into the order of creation. One does not have to bracket reality to embrace Christianity. The central mystery of our faith, the mystery of the Triune God, is a good example. The Church does not propose for belief that 3=1. If that were the case the Trinity could be rejected as illogical and we could move on to the next possibility. Without belaboring this difficult point, it is another thing altogether to propose the Book of Mormon as an accurate, literal history of pre-Columbian America between 400 BC and 600 AD, when all evidence disproves such a fantasic proposal. What Weisberg writes, as Neuhaus points out, indicts all religion and leads to conclusions far beyond what his arguments can support. Additionally, Fr. Neuhaus provides the link to a very thoughtful critique of the LDS Church that he published in March 2000, entitled Is Mormonism Christian?. A brief homily delivered at Holy Family Parish this morning. In today’s Gospel we read of Jesus’ Presentation in the Temple at Jerusalem. Mary and Joseph did this, according to St. Luke, to fulfill a requirement of the Mosaic law. In other words, they presented Jesus and, as their first-born son, consecrated him to God, out of obedience. We can be assured, however, that their obedience did not flow merely out of an externally imposed adherence to the requirements of the law. Rather, they were obedient of out of their love for God, whose own Son they were presenting back to him. In a way this is a prefiguring of Mary’s ultimate sacrifice of watching her Son die on the Cross, which would be the fulfillment of Simeon’s prophecy that she would be pierced by a sword. "Whoever says he is in the light, yet hates his brother, is still in the darkness. Whoever loves his brother remains in the light, and there is nothing in him to cause a fall. Whoever hates his brother is in darkness; he walks in darkness and does not know where he is going because the darkness has blinded his eyes." The challenge for us, Jesus’ disciples, is twofold. The first challenge is to obey God, in imitation of Mary and Joseph, and to do so out of love, not out of a self-determined or self-righteous desire to "be good" so that others can see how good we are. Such an attitude earned the Pharisees multiple rebukes from our Lord. As those who seek to follow Jesus, our righteousness must exceed that of the Pharisees. We must, to borrow words from the secular Christmas song, "be good for goodness sake". In other words, our obedience must be born of a genuine love of God, which, we learn from St. John, is demonstrated by our love for our "brother". This is all internal, with God's commandments as our guide on how to love. In order love anybody, we must know that person. So, to fulfill God's command to love, to be correctly motivated, we must know Christ. To know Christ we must pray, which means not only to speak to Him, but to listen to what He says to us through the Holy Spirit, who, with the Father and the Son, is God. In this St. Simeon is a model for us. It was through his prayer of listening to what God was telling him through the Holy Spirit that he waited patiently, until he was a very old man, for his eyes to see "the salvation which [God] prepared in the sight of every people, a light to reveal you to the nations and the glory of your people Israel". By listening to God we open ourselves to correction, for whoever the Lord loves, he also chastises. Our second challenge is closely related to the first, it is do good works so that God is glorified, not us. 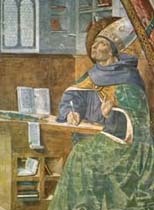 We must believe that to which St. John testifies in our reading from his feast the before yesterday, which is summarized well by the English poet John Betjeman, "that Christ really is the incarnate Son of God and that Sacraments are means of grace and that grace alone gives one the power to do what one ought to do". Just as we all know through our own experience that it is not only what we say, but how we say it; in terms of Christian discipleship, it is not only what we do, but how we go about doing it. We must do it in the way our Lord Himself did it because, as St. John tells us, "whoever claims to abide in him ought to walk just as he walked." In the November issue of The New Criterion, an indispensible periodical, there appears an article, In the Empty Quarter, by Ben Downing. Downing's article is also a book review of a biography of a truly great British character, Wilfred Thesiger, entitled Wilfred Thesiger: The Life of the Great Explorer. Thesiger was an accidental anthropologist, entomologist, and author of some truly great books about his experiences among different peoples. 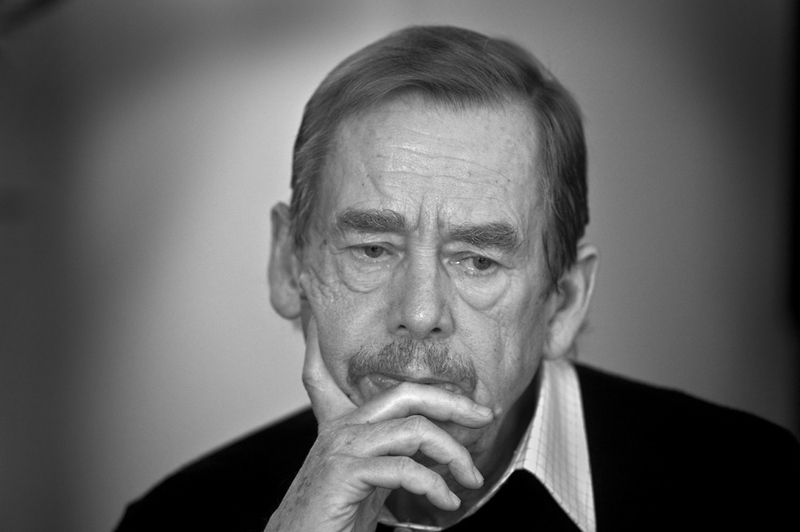 Two of his works that stand out are The Marsh Arabs, about the Shi'a tribes of southeastern Iraq, who were so persecuted by Saddam Hussein, whose army drained the marshes in which they lived (the marshes are currently being reclaimed), and his account of his five years spent among the Bedouin tribes of Saudi Arabia's Rub’ al Khali, or empty quarter, entitled Arabian Sands. He was one of the last great Victorian explorers, whose exploits I devoured as young pre-teen and teenager (upon receiving the first volume of William Manchester's two volume biography of Winston Churchill, The Last Lion for Christmas when I was 23, I shut myself in my room until New Years Day reading it, including New Years Eve). "'He never washed now [and] his only ablutions were to lower his trousers and cool his bottom in the occasional waterholes, from which, incidentally, others would have to drink.' As for Thesiger himself, he was responsible for one of the last triumphs of the short-lived Gideon Force when he obtained the surrender of Fort Agibar and its garrison; on Wingate’s recommendation he was awarded the DSO in 1941. "Under the auspices of SOE, Thesiger was next sent to help raise the Druze Legion against the Vichy French in Syria, where he based himself in a Saracen castle. In another SOE operation, he then made his way, virtually alone, to the Red Sea Hills in Egypt, where he planned the disruption of German communications in case Rommel should take Cairo and head up the Nile. 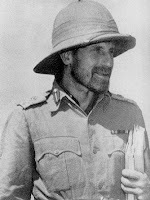 After Rommel was halted, Thesiger was transferred to the Greek Sacred Squadron of the SAS, formed (as he put it) 'in emulation of the Theban Band of Hellenic times,' with whom he fought proficiently enough to earn from SAS founder David Stirling a priceless compliment: 'Wilfred had a real nostril for desert.' His was, in short, just the sort of war—colorful, wide-ranging, independent—that one would expect from a man of his parts." For a compelling story of a more recent SAS exploit, written by men who lived it, read Bravo Two Zero by Andy McNab and The Real Bravo Two Zero by Michael Asher. Incidentally, Asher has also written a biography of Thesiger, entitled Thesiger: A Biography. Do yourself a favor and listen to this edition of Wisconsin Public Radio's To the Best of Our Knowledge, entitled Searching for Salvation. To the Best of Our Knowledge, along with This American Life, is a radio program I never miss. With podcasting, it is easy to listen at my convenience. Searching for Salvation is in three parts. The first part examines C.S. Lewis. Part three deals with the Calvinistic nature of midwestern Christianity in a discussion with Marilynn Robinson, author of the incredible novel Gliead. It is part two, dealing with St. Francis of Assisi that is truly wonderful. Get to know this lovely saint, this man of Christ via this mini-documentary. You can do no better in English than Donald Spoleto's biography, Reluctant Saint: The Life of Francis of Assisi. For a truly San Franciscan treat, watch in succession Francesco, starring, not as improbably as you might think, Mickey Rourke as St. Francesco and Helena Bonham Carter as St. Chiara, filmed in 1989, and directed by Liliana Cavani. Then, watch Roberto Rosselini's The Flowers of St. Francis, which stars real-life Franciscan friars. I have to admit, but not snobbishly, that my least favorite film about St. Francis is Brother Sun, Sister Moon. 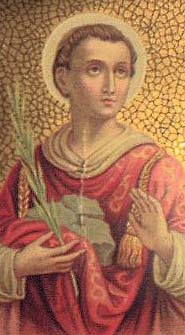 Today is the feast day of my baptismal patron, St. Stephen. My middle name is Stephen, after my dad. Acts chapter 6 describes when Stephen, along with "Philip, Prochorus, Nicanor, Timon, Parmenas, and Nicholas of Antioch, a convert to Judaism" (Acts 6, 5), were selected by the apostles as the first deacons to assist with daily distribution among the early Christian community's widows because it was "not right for [the apostles]to neglect the word of God to serve at table" (Acts 6,2). If, as Tertullian famously wrote, "the blood of the martyrs is the seed of new Christians", celebrating the feast of the first martyr the day after the Nativity of our Lord is not so unusual because his martyrdom, like Pentecost, is a birthing event of the Christian Church. As I entered the sanctuary at Holy Family Parish this morning and saw the sea of poinsettas, it reminded me both of Christmas and the red blood of the martyrs, among whom St. Stephen is preeminent. 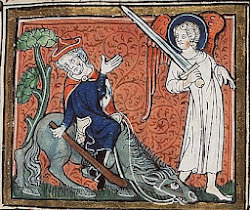 The story of Stephen's martyrdom, found in Acts, chapter 7, is also where St. Paul is introduced into the Christian story. Referring to St. Stephen's preaching, in which he masterfully recounts salvation history, culminating with the life, death, and resurrection of Jesus Christ, the author of The Acts of the Apostles, writes: "When they heard this"- referring to the Greek-speaking Jews- "they were infuriated, and they ground their teeth at him. But he, filled with the holy Spirit, looked up intently to heaven and saw the glory of God and Jesus standing at the right hand of God, and he said, 'Behold, I see the heavens opened and the Son of Man standing at the right hand of God.' But they cried out in a loud voice, covered their ears, and rushed upon him together. They threw him out of the city, and began to stone him. The witnesses laid down their cloaks at the feet of a young man named Saul. 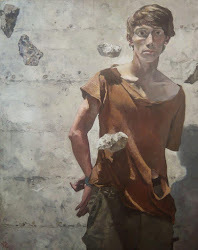 As they were stoning Stephen, he called out, 'Lord Jesus, receive my spirit.' Then he fell to his knees and cried out in a loud voice, 'Lord, do not hold this sin against them'; and when he said this, he fell asleep" (Acts 7,54-60). 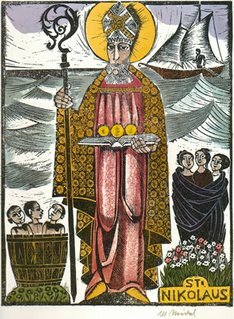 It is also interesting to note that the reason Good King Wenceslas is considered something of a Christmas carol, is because he "looked out On the feast of Stephen", or 26 December. All holy men and women - pray for us. He died praying for those who killed him. "Oh come, all ye faithful"
The photograph is a creation of Ben Bell. The good news at the end of this Advent is that in two states, both of which have Catholic and Republican governors, Florida and California, all executions have been halted after the botched execution of convicted murderer Angel Nieves Diaz, in Florida, on 13 December. Executions in these states were stopped due to persistent problems with lethal injection that show this form of execution violates the constitutional prohibition against cruel and unusual punishment. Apart from the basic question as to whether execution is a legitimate form of punishment, except in cases in which it is the only way to safeguard the population, there are problems with the death penalty in the U.S. The first problem is that, in the rush to judge and punish, innocent people have been convicted, senetenced to death and very nearly executed. Although it remains far from clear whether innocents have, in fact, been executed. This is why, a few years back, executions in the state of Illinois were suspended. At the root of this problem, in almost all these cases, is race and poverty. Rather than the prosecution bearing the burden of proof, it seems to fall to the accused to prove their innocence. In addition to being unconstitutional, it is practically impossible for many of these accused, who have to be defended by court-appointed public defenders who are over-worked, understaffed, and underfunded. These public defenders have many, many clients and no resources at their disposal, especially when compared to the virtually unlimited resources the prosecution has at its disposal. 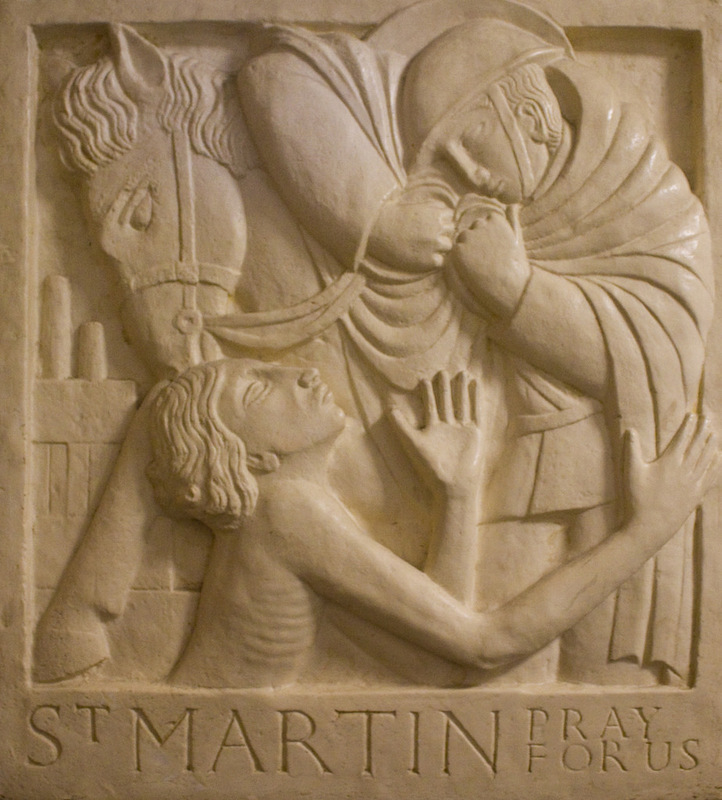 Leaving that aside, we are reminded that the "traditional teaching of the Church does not exclude, presupposing full ascertainment of the identity and responsibility of the offender, recourse to the death penalty, when this is the only practicable way to defend the lives of human beings effectively against the aggressor. 'If, instead, bloodless means are sufficient to defend against the aggressor and to protect the safety of persons, public authority should limit itself to such means, because they better correspond to the concrete conditions of the common good and are more in conformity to the dignity of the human person. 'Today, in fact, given the means at the State's disposal to effectively repress crime by rendering inoffensive the one who has committed it, without depriving him definitively of the possibility of redeeming himself, cases of absolute necessity for suppression of the offender 'today ... are very rare, if not practically non-existent. '[John Paul II, Evangelium vitae 56.]" (Catechism of the Catholic Church, 2267, which, in turn, quotes John Paul II's Evangelium Vitae, 56)-emboldened and underlining emphasis mine. So important is this teaching that number 2267 of the Catechism was revised after the promulgation of Evangelium Vitae in 1995, as the Catechism was initally promulgated in 1992. This song came out in 1984. I was eighteen and just out of high school. In my youthful idealism I desperately wanted to make a difference for the better in the world. I remember being moved when I first saw this video on MTV, seeing and hearing the artists whose music has dramatically helped shape who I am participating in this act of solidarity. Bob Geldof of the Boomtown Rats has continued his work, which culminated in Live 8 this past year. I have to admit to being moved again this evening while watching it with my two lovely daughters. I was especially moved when heard the lyrics: "And there won't be snow in Africa this Christmastime/The greatest gift they'll get this year is life/Where nothing every grows/No rain or rivers flow/Do they know it's Christmastime at all?". "The one person, Jesus Christ, both true God and true man, stooped into our littleness to draw us up to the greatness of life eternal, which is not this life infinitely extended but is the very life of God. From the beginning and through the millennia, human beings looked upward in search of the divine. 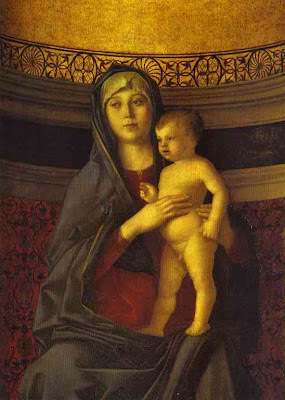 Mary looked downward, at the baby in her arms. She looked into the very face of God. Finitum capax infiniti, the finite is capable of the infinite. 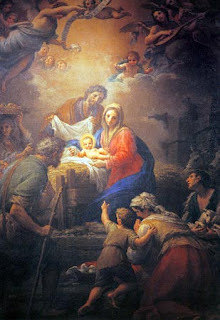 This is the central wonder, the inexhaustible mystery, of Christmas." So writes Fr. Neuhaus in a wonderful piece on First Things' On the Square: Observations and Contentions blog. Late in this Advent season Fr. Neuhaus reminds us that Christmas is a celebration, an observance of the Incarnation of the eternally begotten Son of God, the Second Person of the Most Holy Trinity and not a vacuous celebration of Jesus' birthday. The mystery of the Incarnation, along with the mystery of the Trinity, sits atop the hierarchy of truth. The idea that "in Catholic doctrine there exists a 'hierarchy' of truth" is explicitly articulated in number 11 of the the Second Vatican Council's decree on ecumenism, Unitatis Redintegratio. Writing to theologians engaged in ecumenism, the Council fathers write that the truths in the hierarchy of Catholic doctrine "vary in their relation to the fundamental Christian faith". Hence, it is a deep mystery that we celebrate when we observe the nativity of a child who "For us men and for our salvation came down from heaven: by the power of the Holy Spirit was born of the Virgin Mary and became man" and who "For our sake . . was crucified under Pontius Pilate . . . suffered death and was buried." "Lowliness is assured by majesty, weakness by power, mortality by eternity. To pay the debt of our sinful state, a nature that is incapable of suffering, was joined to one that could suffer. Thus, in keeping with the healing that we needed, one and the same mediator between God and men, the man Jesus Christ, was able to die in one nature, and unable to die in the other." 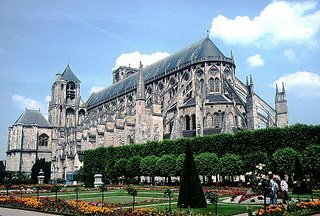 Today marks the launch of yet another new project, the weblog of The Cathedral of the Madeleine, entitled The People of St. Mary Magdalene. 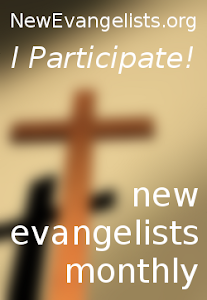 The new blog is a collaborative effort of the pastoral staff of the Cathedral. Your scribe has spent the better part of the afternoon designing and laying out the page. A link is already provided off this blog and will soon be provided on the main Cathedral website. My opinion on the possibility of the Holy Father granting a universal indult for priests to celebrate Mass in Latin according to the Missal of 1962 of their own accord, is that I am opposed. I oppose it for the reasons I gave in my first post on the matter and I oppose it because whatever progress Pope Benedict XVI has made in exercising the Petrine ministry in a more collaborative manner will be wiped out in one fell swoop. The last is even more important given the overwhelming opposition by the bishops, best articulated by the French bishops during their recent meeting at Lourdes. I have no burning desire to return to the missal of 1962 or to the Latin, especially given that for me and for most Roman Catholics it is not a return. On that same point and in a strange twist, many of the arguments made opposing introduction of the novus ordo can now be made against the reintroduction of the Latin, at least at the discretion of the parish priest. This seems to me a ready-made recipe for the acrimonious division of parishes and even whole dioceses. It is easy to forget, or to never have known, how disconnected people were from the liturgy in the pre-Vatican II days. Of course, even before the Council, this was a matter of pastoral concern and liturgical renewal had been underway over the previous forty years or so. This renewal was aimed at bringing about more active and conscious participation in the Eucharistic liturgy on the part of the whole Church. Over the past thirty-seven years there has been a lot of silliness with the novus ordo, but much of that now seems passé. My preferred manner of reform has been articulated well by Monsignor M. Francis Mannion in such articles as Liturgy and Beauty. A nice, succinct articulation of one aspect of Mannion's thought, specifically on liturgical agendas in the Church, can be found in a book review of a collection of essays by Richard J. Mammana, Jr. in Touchstone magazine. Some resonance of his ideas still remain in the Statement of Principles of The Society for Catholic Liturgy, founded by Msgr. Mannion in 1995. The principles of the Society were originally composed in 1995. They were revised in December 2005. I prefer the original principles, as they were clearer on the need to celebrate the novus ordo Mass and all the newly revised rites of the Roman Rite with beauty, reverence, and dignity. The original principles were also clear in rejecting the agenda of "traditionalism and restoration". This agenda seems to be one the Society now embraces in their new principles, which is unfortunate. Monsignor Mannion, to my knowledge, played no role in the new statement, which is also unfortunate. That being made clear, let me also write that I support Pope John Paul II's lifting of the suppression of the Latin Mass with his motu proprio allowing its celebration with the approval, permission, and under the pastoral oversight of the diocesan ordinary. While we certainly long for and work toward communion with the schismatic SSPX, I do not see the need for the Church to make concessions as the liturgy is the least of their gripes, which is the main point of the French bishops. Whether the novus ordo exceeds the liturgical reform called for by the fathers of Vatican II is a question of much contention, a contention I am not qualified either liturgically or canonically to weigh in on with much authority. However, SSPX rejects many of the decrees of that legitimate ecumenical council- religious freedom, to name just one. So, the liturgy is not the fundamental cause of their schism. The Priestly Fraternity of St. Peter, in full communion with the Church, has the correct idea as far meeting a legitimate, albeit small, pastoral need that has arisen in many local churches. Contra Monsignor Gamber, the novus ordo is here to stay, almost 40 years constitutes a long enough ad experimentum period. There is no great call for a return to the Latin Mass by the people, the clergy, or the bishops. In fact, most oppose it. One of the candidates to succeed now-Archbishop Niederauer as bishop of the Diocese of Salt Lake City was eliminated from the running today with the Holy See’s announcement of the appointment of Bishop Richard J. Garcia, auxiliary bishop of the Diocese of Sacramento, to the See of Monterey in California. That narrows the field of media-anointed frontrunners to Bishop John Wester, one of Niederauer’s two auxiliaries in San Francisco, Bishop Jaime Soto, auxiliary of the Diocese of Orange in California, and Bishop Gabino Zavala auxiliary in Los Angeles. I certainly claim no inside track on who our new bishop is going to be and I would not be surprised if it were not one of the remaining three. Of course, there are reasons these men’s names have been put forward in the media. It is also important to note that none of these bishops are campaigning for the job, or have put their own names forward. Given that they are all already bishops, it seems perfectly normal that they want to be ordinaries in their own right and the Diocese of Salt Lake City is great place to be bishop with a growing, dynamic Catholic Church. This is of particular interest right now because 15 December marked the one year anniversary of the announcement of then-Bishop Niederauer’s appointment as archbishop of San Francisco. Since vacancies in the U.S., with a few recent exceptions, are normally filled after about year, an announcement around now, or early in the New Year is to be expected. 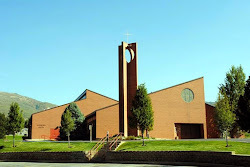 The recent exceptions to the rule of short vacancies are Sioux Falls, South Dakota- now filled by the ordination and installation of Bishop Paul Swain, was vacant from December 2004 to August 2006; Youngstown, Ohio and Lake Charles, Louisiana- both vacant since March of 2005; Birmingham, Alabama- the diocese in which EWTN is located- vacant since May 2005. In some of these instances there are issues that have slowed appointments down, but Salt Lake City, thankfully, is not one of those places. Is the Universal Indult Imminent? "Vatican City, 12 December. 'The publication of the Pope's Motu Proprio which will liberalize the celebration of Mass in Latin according to the Missal of Saint Pius V is near.' Thus affirmed Cardinal Jorge Arturo Medina Estevez, member of the Commission Ecclesia Dei which met this morning to discuss the liberalization of the Latin Mass. 'We calmly studied the document', the Cardinal said,. 'We discussed it for more than 4 hours, and made certain corrections to the text of the Motu Proprio' The next move is up to Cardinal Dario Castrillon Hoyos (president of the Commission), who will present the text to Benedict XVI. Perhaps, added Medina, there will be another meeting of the Commission Ecclesia Dei. Another member of the body, Cardinal Jean Pierre Ricard of Lyons [sic; he's from Bordeaux and has strong opinions re the old rite], did not want to make any comment, underlining that he 'was bound by the pontifical secret'." According to this same tired Parish Priest and his source, "Fr Zuhlsdorf", the story was withdrawn by ANSA not long after it was posted. 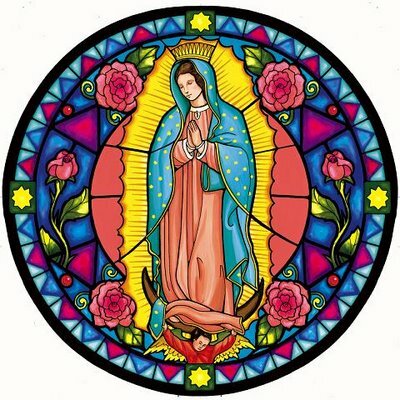 So, it seems that there is some hesitation, given the expressed opposition of the world's bishops, especially the French bishops in whose country SSPX primarily exists, who now must give their permission for the Latin Rite to be celebrated according the missal of 1962 within their dioceses, to a universal indult. Another explanation is that, given the Holy Father's mode of governance, he wants no prelude to the announcement of what he does of his own accord, which is what motu proprio means. The granting of the universal indult would be part two of my proposed three part Benedictine reform of the reform. The first reform was accomplished by ordering that all future translations of the Missale Romanae will correctly translate pro multis as for many, instead of the current and incorrect for all. The final reform would be to turn the priest back away from the congregation. 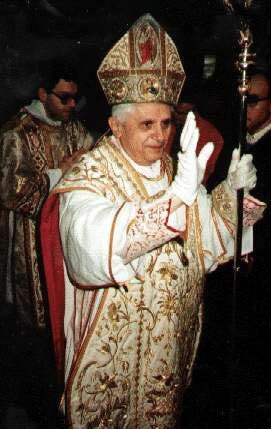 It is a sign about how strongly Pope Benedict XVI feels about the need to reform the liturgy by aligning it more closely with the ancient ritus Romanus that he is seriously considering granting a universal indult over the opposition of so many bishops, given that he wants to govern the Church in a more collegial manner. Embryonic Stem Cells: Why not? Below you will find links to articles written by Dr. Maureen Condic on the issue of embryonic stem cells for the monthly journal First Things over the past four + years. What prompted me to do this is that she has the featured article in the soon-to-be delivered January issue of this excellent publication. As the featured article, it is made available free and in advance on the website. So, in chronological order- earliest to most recent- here are her very informative articles, carefully written by an expert for non-experts. Using her First Things bio, she "is an Associate Professor of Neurobiology and Anatomy at the University of Utah; she is currently conducting research on the regeneration of embryonic and adult neurons following spinal cord injury." This is important reading for any morally responsible citizen of our democratic republic, which, as Christians, we are called to be. Today I had the privilege of reuniting with a teacher, a mentor, and someone who, even when I was a teenager, was a good friend: Representative Rob Bishop of the U.S. House of Representatives for Utah's First Congressional District. The picture is of the Ben Lomond High School Debate Team in 1984. I am bottom row left sitting next to my best friend, who I have known since we were 10 years-old. 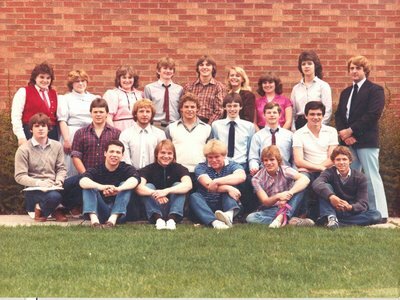 The tall, skinny fellow kneeling in the middle in glasses and circa 1980s knit blue tie, is my other best friend, Timothy. Tim died in 1987, less than three years after graduation. He and I had planned to move to Salt Lake and attend the U together. It is for him that my oldest son is named. I participated in debate primarily as an extemporaneous speaker, but also as Lincoln-Douglas debater as well as in my favorite event, Legislative Forum. I was a State Finalist and a Region champion. I obtained a National Forensics League Double-Ruby award over my three years of high school. Rather than being immodest, like all accomplishments, my achievements are due in no small part to teaching and mentoring. Those skills I acquired all those years ago are what have led me to a career and ministry that both inlcude a good deal of writing and speaking clearly, logically, and, hopefully, interestingly. We met today when Rep. Bishop, R-Utah, was on an official visit to my organization today. It is always nice to catch up. Santa Lucia was a young Sicilian girl who wanted to and promised God she would live as a virgin in devotion to Christ. Despite her desire, Lucy's mother arranged to marry her to a pagan suitor. Lucy sought to dissuade her mom by means of a miracle. To that end, Lucy began praying at the tomb of St. Agatha (another Sicilian saint who was martyred between 250-253) that a hemorrhage from which her mother suffered would be cured. 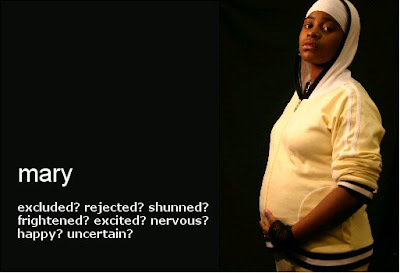 When her hemorrhage got better and completely stopped, Lucy's mother agreed to cancel the proposed marriage. The pagan suitor did not take the cancellation well and sold Lucy out as a Christian. Authorities went to collect her, planning on forcing her into prostitution -- but they were unable to budge her, even after tying her to a team of oxen. She was then tortured by having her eyes torn out. They'd planned on torturing her by fire, too, but the fires kept going out. She was then killed by being stabbed in the throat with a dagger. She was martyred in 303 AD, during the Diocletian persecution. Because of the above, St. Lucy is the patron of those with eye problems, and is often depicted carrying her eyes, usually on a plate, and/or being tied to a team of oxen, with St. Agatha, or before her judges. Her relics lay in Syracuse for hundreds of years, were translated to Constantinople, and then to Venice where they may be venerated at the Church of San Geremia. 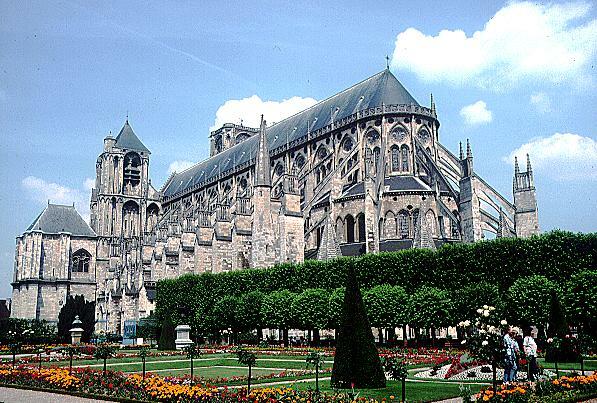 Her head was sent to Louis XII of France, and reposes in the cathedral of Bourges, which is the Cathedral of St. Etienne, or St. Stephen- my patron. Her name, "Lucia," means "Light," and light plays a role in the customs of her Feast Day. In Italy, torchlight processions and bonfires mark her day, and bowls of a cooked wheat porridge known as cuccia is eaten because, during a famine, the people of Syracuse invoked St. Lucy, who interceded by sending a ship laden with grain. In Sweden on St. Lucy's day, the oldest daughter of a family will wake up before dawn dressed in a white gown for purity, often with a red sash as a sign of martyrdom. On her head she will wear a wreath of greenery and lit candles, and she is often accompanied by starboys, her small brothers who are dressed in white gowns and cone-shaped hats that are decorated with gold stars, and carrying star-tipped wands. "St. Lucy" will go around her house and wake up her family to serve them special St. Lucy Day foods. Since this is a custom, which, thanks to my lovely wife, we have observed the last seven years, since our oldest daughter was three, I have to go eat breakfast now. This year, for the first time, we have a little starboy! Ah, the true joys of the domestic Church! I urge you to discover them for yourself. 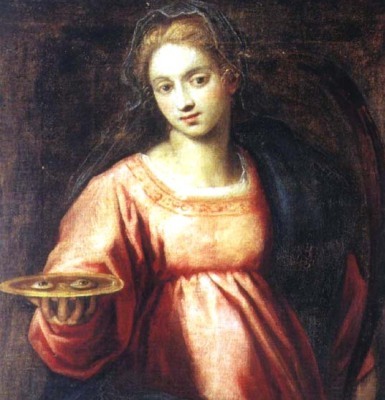 give us courage through the prayers of Saint Lucy. we ask to share her happiness in the life to come. 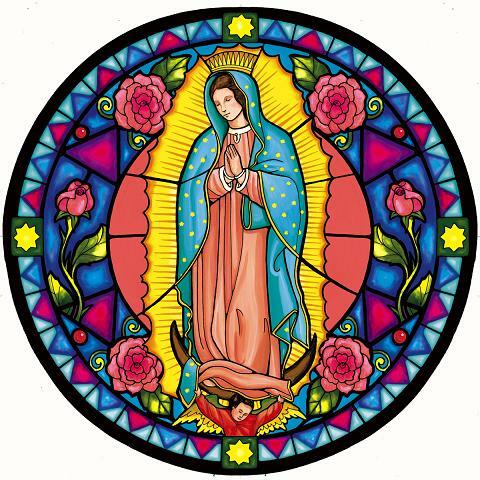 On December 9, 1531, the Blessed Virgin Mary appeared to an Indian convert, Juan Diego, and left with him a picture of herself impressed upon his cloak. Devotion to Mary under this title has continually increased, and today she is the Patroness of the Americas. 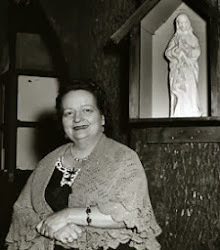 Today is her feast. Come let us worship! 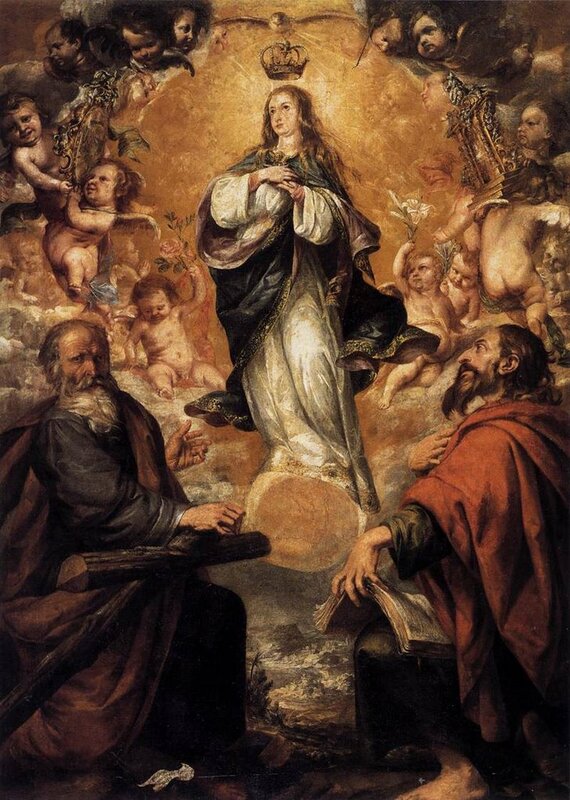 To that end, I direct you, dear reader, over to Whispers, where Rocco, whose late-night e-mail this past weekend I found very encouraging, writes brilliantly on the significance and magnificence of this lovely feast in honor of the world's loveliest lady - Our Lady. Knowing Christ "as he is"
"The aim of meditating on Christ is to know him and love him—all of him: the judge, the spouse, the brother, the child, the friend, the king, the shepherd. The aim of imitating Christ is to become like him. There are no shortcuts. Slogans, self-help books, rallies, makeovers—these will not substitute for worship of Christ, not as we might like him to be, but as he is." John Gattuso asks are we to understand "that prayer is a method of influencing events that are otherwise beyond our control, a way to convince God to tip the scales in our direction?" All of the great spiritual writers agree that the answer is emphatically No. Prayer is not a magical gimmick through which we win God's favor. Gattuso draws our attention to what C.S. Lewis tells us about our Lord's desperate prayer in Gethesemane, in which he asks His Father to "take this cup from me". His prayerful request was not granted, Deo gratias! Is this to write that prayer is useless, or pointless? As St. Paul might answer such a question, No! "Prayer," Gattuso observes, "works on us rather than for us". One of the most significant ways that prayer works on us is that it helps "recognize the humanity of other people and [deepens] our capacity for compassion and forgiveness. As we come to terms with our own limitations and our own need for kindness and understanding, we see more clearly the same needs in others. Religious teachings may differ, but in the end we all live, suffer, and die in much the same way, and we pray for the same things - peace, health, patience forgiveness." By conceiving of prayer in this way we open our eyes to see that religion can be a force for good and peace in the world, it also shows us how faith can be such a force. While irreligion, not the conflict between religions, as Pope Benedict XVI keeps pointing out in various ways, is a greater threat to humanity and led to the bloody horrors of the last century and is what is being resisted by force in the early years of this new century and millennium, the way for people of faith to show this is not by obnoxiously seeking to impose religion on others by force or even through democratic means. We more effectively do this by being compassionate, forgiving, kind, and understanding people. We become such people by forming communities of faith, hope, and love in which these virtues are practiced, taught, and lived. To borrow words from Dominican Fr. Timothy Radcliffe, we create communities "in which we may flourish and be ourselves". In addition to parishes as schools of love, we need these places and people because, as Radcliffe also observes, "one of our deepest needs is to be at home ". We must do this in the awareness that by "claiming that you have got the truth wrapped up does breed violence and intolerance". English poet Sir John Betjeman, despite his complicated marriage and morally problematic personal life, was a deeply religious person, as were his wife, Penelope, and his mistress Lady Elizabeth Cavendish. 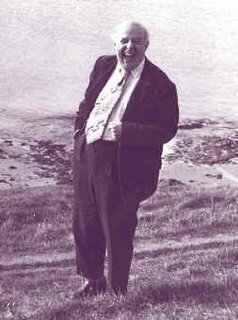 In a review of a recent biography on Betjeman by A.N. 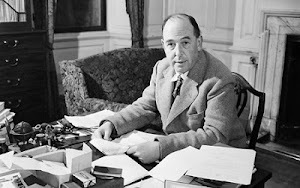 Wilson, Paul Dean, writing in The New Criterion (registration and subscription req'd), relates this episode in which Betjeman responds to "Roy Herrod's put-down that religion did nothing to solve the world's problems." His reply was that it depends on what one perceives the world's problems to be. As for Betjeman, ' I choose the Christian's way (and completely fail to live up to it) because I believe it is true and because I believe - for possibly a split second in six months, but that's enough - that Christ really is the incarnate Son of God and that Sacraments are means of grace and that grace alone gives one the power to do what one ought to do.'" To which I can only add, Amen on a snowy Monday morning. I must state up-front that Betjeman was not Catholic, but Anglican. 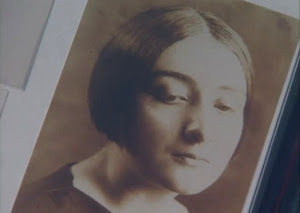 It was to his lasting sorrow that his wife, Penelope neé Chetwode, became a Catholic. When I read Dean's review Saturday evening, it immediately struck me that this episode was a good follow-up to Philosophy and Theology. It is all the more appropriate as a follow-up because Betjeman: A Life is by Wilson, whose faithful doubting turned into doubts about faith. Several years ago over Christmas I read his very thoughtful and elegiac God's Funeral: A Biography of Faith and Doubt in Western Civilization. However, Wilson's panegyric for God is not a really a survey of faith and doubt in Western civilization. Rather, it is a survey of faith and doubt in Victorian and Edwardian England. The book is no less poignant and thoughtful because it fails to live up to the inflated claims of the subtitle. "But I love this blog...I was just telling a friend over dinner that your teaching is what keeps me going back to Mass each Sunday. How could it be ego-gratification when others are learning from your teachings?I'm learning so much more about my faith because of your blog. But not only that, it has led me to other sites which have opened my eyes and mind to the teachings of the Catholic Church. It's through your blog that I found Sacred Space which I visit each day to pray. I guess I'll have to respect your decision, but must say I'm very saddened by the news." I appreciate these words from Rachel. It is probably more strangeness on my part, but I need to be encouraged a bit from time-to-time, nothing huge, just to know that I am not writing entirely for my own benefit. I am an advocate of journaling, though I have never done it with any consistency. I enjoy writing the blog, I would be less than honest to state otherwise. I have to admit that I often feel like I am sending words into a void. I hope nobody feels like their thoughts on various matters are not worth sharing. Therefore, I'll proceed cautiously. I apologize for not finding a more functional way of expressing my doubts about continuing. I suppose I could have asked for readers to comment with feedback about the blog. So, I am doing that now. Furthermore, I would like to know who makes up this anonymous third person you, the reader. 3) Tell my what you don't like about the blog, my writing, my tone. etc. Do this with the understanding that I am who I am and this blog is a very personal endeavor for me. This does not constitute a straw poll that I will then change to accomodate, but it will give me an idea for whom I am writing, my audience. It will also give me insight to how what I write and how I write it goes over. So, the comment link is open. "Does anyone know we're here? Or care? Does faith in God relieve us of the horror of this scene once and for all? Or is this scene inescapable, not because it can be firmly established as the final truth, but because it remains a possibility that haunts and menaces faith like a ghost? And in constantly menacing faith, does this eerie scene in fact help to constitute faith as faith, which does not see in whole but only in part?" "Once upon a time, on a little star in a distant corner of the universe, clever little animals invented for themselves proud words, like truth and goodness. But soon enough the little star cooled, and the little animals had to die and with them their proud words. But the universe, never missing a step, drew another breath and moved on, dancing its cosmic dance across endless skies". The cluster of questions brought up by Nietzsche's parable, is, for Caputo "the way the issues of philosophy and theology get raised". Indeed, the two overlap, intertwine and communicate with each other in what is described as "kind of endless contest". 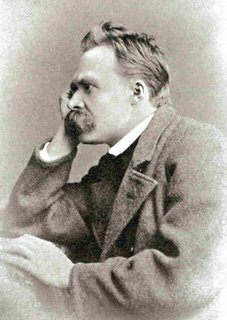 Therefore, "philosophers and theologians go for the 'ultimates,' the deepest questions," the questions "that keep imposing themselves on us". This makes philosophers and theologians "slightly unstable types, people who have been knocked off their pins by such questions, who have been drawn into an exploration of the outer and inner space of our lives". All of this is from the introduction to a wonderful little book (all of 74 pages) by Caputo, part of Abingdon Press' Horizons in Theology series, and entitled Philosophy and Theology. Caputo has made a tremendous contribution to contemporary philosophy and theology through his work on the significance and relevance of post-modern philosophy to theology through such works as Heidegger and Aquinas: An Essay on Overcoming Metaphysics and The Prayers and Tears of Jacques Derrida: Religion Without Religion. 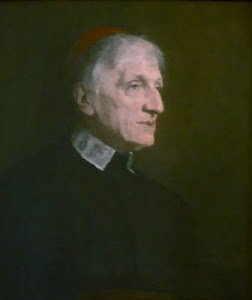 In distinguishing the theology from philosophy, Caputo contends that "theologians belong to communities of faith, and their work is to think through the 'tenets of faith' or the 'contents of revelation,' both the words of the Scriptures and the common faith passed down by the faithful over the ages". One way to define theology, then, "is the place where the community of faith does its thinking, examining, clarifyng, conceptualizing, and updating the common faith over the course of its history". Whereas philosophers, typically, think of themselves as being independent, freelance thinkers- though few are as independent and they think themselves to be . Indeed, theology cannot be done apart from a faith community. Therefore, ecclesial theologian is, in Kantian terms, an analytic statement because the predicate is contained in the concept of the subject. In other words, there is no value added to theologian by appending ecclesial as a descriptor. Anyway, Caputo's book is a great introduction to this relationship. It would be a great textbook. I learned of the book from Fr. Edward Oakes, SJ last summer, acquired a copy and I am just now getting around to reading it. We declare, pronounce, and define that the doctrine which holds that the most Blessed Virgin Mary, in the first instance of her conception, by a singular grace and privilege granted by Almighty God, in view of the merits of Jesus Christ, the Savior of the human race, was preserved free from all stain of original sin, is a doctrine revealed by God and therefore to be believed firmly and constantly by all the faithful. " Note the Pope Pius IX's reference to fasting and prayer, the beautiful Trinitarian nature of, lacking a better description, how prayer works. It is lovely as befits anything having to do with Immaculate Mary. I mentioned in a earlier post how hopeless the secular media is in understanding anything the Holy Father does and how it frequently misinterprets the meaning and symbolism of much of what he says and does. To just take one example, CNN's Anderson Cooper 360 entitled their weeklong coverage of the Holy Father's trip, When Faiths Collide: The Pope in Turkey. It is refreshing, therefore, to read what Tarcisio Cardinal Bertone, Vatican Secretary of State, had to say in an interview with Gianni Cardinale, for the newspaper of the Italian Bishops Conference, L'Avvenire. I have to acknowledge my debt to NCR's John Allen for the tip-off that this interview had occurred and for his always insightful commentary. The first clarification Cardinal Bertone makes has to do with the political dimension of the Holy Father's visit. Saying that he was glad that Turkish Prime Minister, Recep Tayyip Erdogan, decided to meet with the Pope, he also said it would have been strange had he not met with Benedict because it was the Turkish government that wanted the Holy Father's visit to have a political dimension, as the Pope is Vatican head-of-state. From the time he proposed it, Pope Benedict XVI said he wanted his trip to be a spiritual pilgrimage, "without", the Cardinal says, "stopping in the political capital of the country". A visit during which he had to go to Mustafa Kemal Atatürk's mausoleum and sign the "golden book". According to the Secretary of State, it "was the civil authorities who, legitimately, insisted that the trip also have a 'political' dimension." Hence, "it would have been truly strange if those authorities withdrew from meeting with the pope", even after Regensburg. Of course, it would help if they had read and sought to understand the Holy Father's Regensburg lecture. Especially given that the Holy See readily acceded to having the Pope begin his trip in Ankara. Politicians being politicians throughout the world, PM Erdogan did not miss the opportunity to make the reversal of his decision to meet with the Holy Father work to his advantage, or at least not lose face, by emerging from the airport terminal, at which he met Pope Benedict, and declaring that Pope Benedict XVI, who, as Cardinal Ratzinger, publicly opposed Turkey's admission to the European Union, now supported Turkey's bid. Cardinal Bertone also clarifies this by reiterating what the Holy Father himself told the international media on the flight to Ankara: "As is known, the Holy See does not have an official position on the entry of Turkey or any other country into the European Union". Furthermore, the Holy See doesn't want to possess "any political judgment in this sense". The real point of the Pope's message, the true theme, according to Cardinal Bertone, was religious freedom. "Certainly the Holy See always hopes that the countries which form part of the European Union- all, without exception . . . respect [the] liberty to publicly profess one's own faith," a right "which must be guaranteed to every person and to every religious community". But, even on this score, the Holy Father was sensitive to the input given him by Turkey's Christian communities (Orthodox, Syriac, Armenian, Catholic) prior to his visit. He did not call Turkey, who represses and oppresses its Christian communities in significant ways, out in a way that would cause embarassment or make the situation worse for these communities. 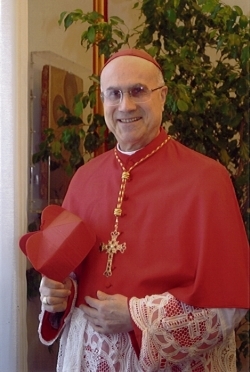 In a refreshingly straightforward statement that reflects his background as a theologian and pastor, not a diplomat, Cardinal Bertone said, on an almost unrelated note, "If I can put it in a sound-bite, the church doesn't really worry about atheists, however devout, because they're out of her spiritual jurisdiction". "Much more worrisome," Cardinal Bertone opined, "are those inside the church who work to distort its faith and moral principles, or who oppose the pope and his design for renewal of the church". "I shall wait for my Lord and Savior and point him out when he is near, alleluia." On last night's Daily Show, former Missouri Senator John Danforth, who is an Episcopal priest and was during his years in the Senate, as well as during his brief tenure as Ambassador to the U.N. between John Negorponte's resignation in order to become U.S. Ambassador to Iraq and President Bush's recess appointment of John Bolton, appeared in promotion of his new book, Faith and Politics: How the "Moral Values" Debate Divides America and How to Move Forward Together. It appears to me, not having read the book, that Senator Danforth takes a largely negative view of religious people, conservatives in particular, bringing their faith and the values derived from their faith to bear on their voting, or, if an elected official, to bear on laws and policies. Apparently, insisting that the state has a vital interest in both safe-guarding human life from conception to natural death and protecting society's building block, the family, is just too divisive. According to Senator Danforth, it is time for politics to be unifying. Huh? What is democracy, if not the hashing out of different points-of-view? Why should a certain group of people have to check their most deeply held convictions at the entrance to the Public Square? To be fair, it does not seem to me that Danforth wants to ban faith from the Public Square entirely, he just wants to eliminate those whose faith leads them to different conclusions than those to which his faith leads him. Now, that's democracy! As humor often does, John Stewart arrived, albeit inadvertently, via a humorous question, at a deep insight. Of course, the question was ignored because it was a joke. The question Stewart asked Danforth was, given the views he expresses in his book, "as a U.S. Senator and an Episcopal minister, did you believe in seperation of you from you?" I would be interested in Danforth's response to this question. 1) The Republican Party has cynically manipulated voters, especially during the Bush presidency. For this they paid the price on 7 November. My point? Democracy works. 2) "Democracy demands," Senator Obama said in speech this past Spring, "that the religiously motivated translate their concerns into universal, rather than religion-specific, values. It requires that their proposals be subject to argument and amenable to reason. I may be opposed to abortion for religious reasons, but if I seek to pass a law banning the practice, I cannot simply point to the teachings of my church or evoke God's will. I have to explain why abortion violates some principle that is accessible to people of all faiths, including those with no faith at all." I would add that even if people of faith fail to translate their concerns into universal values, they are free to bring them to bear when they vote, or when they hold public office. And, if, as public office-holders, their positions represent their constituencies, they can continue to serve. 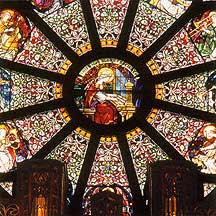 3) It is also necessary, as Pope Benedict XVI recently observed, for the Church, in her proclamation, to link the two poles, to bridge the gap, between so-called liberal values of peace, care for the environment, and social justice with so-called conservative values of protecting life from conception to natural death, the place and meaning of sexuality, and defense of the family. None of these values are mutually exclusive. I, for one, do not seperate me from me when voting or advocating. Or, to put it in language fit for congregational proclamation: I believe in personal integration, not compartmentalization. This morning I was awakened by my six year-old daughter, who burst into my room, shoe in hand, to show me what St. Nicholas, whose feast is today, left her in it. The other big day for us during Advent is Santa Lucia (St. Lucy), on which the oldest daughter makes breakfast for everybody. Santa Lucia falls on 13 December. This link will take you to a really great page St. Nicholas webpage. 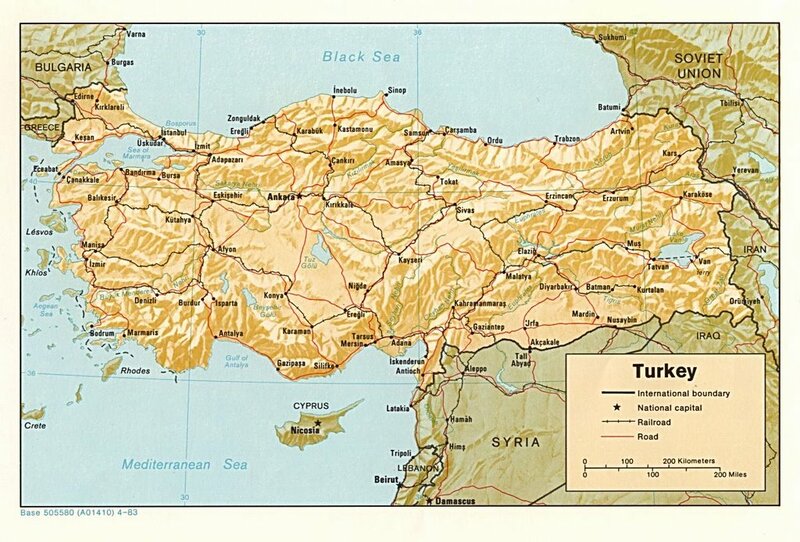 Nicholas was the bishop of Myra in Lycia, located in modern-day Turkey. He died in the middle of the fourth century (the 300s). His cult, at least since the tenth century, has been universal throughout the Church. On this, his day, let us ask him to intercede for us. and guide us on the way to salvation. Advent is upon us. This Advent is the shortest possible Advent cycle, the minimum number of days between Advent's beginning and Christmas. So, hurry up and wait! 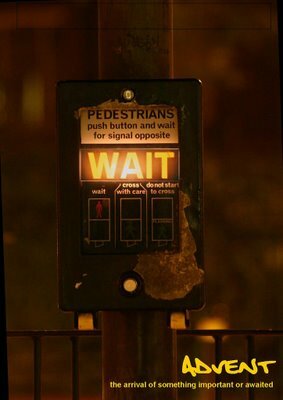 Or, is that, our waiting is hurried? 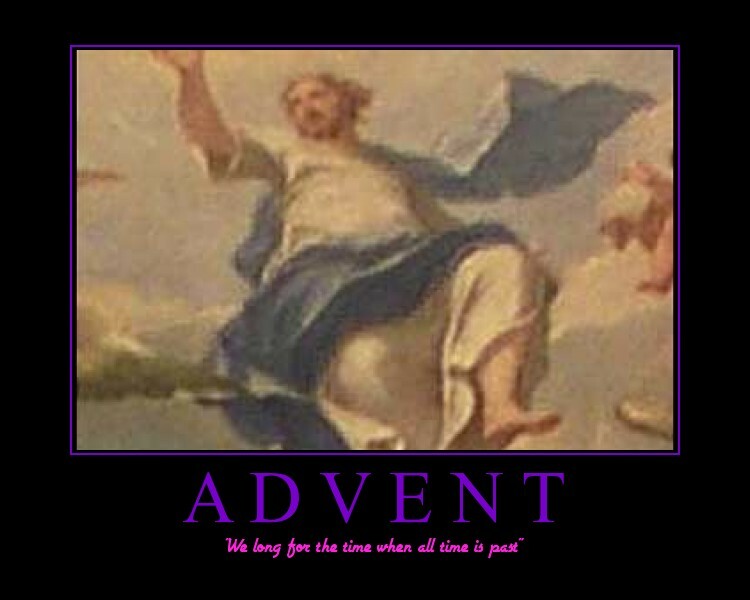 Shortening our waiting, in terms of Advent, means being ready to meet the Lord. As His disciples, our life is an advent. Our waiting for the Lord's coming, in words taken from the sacred liturgy, should be in "joyful hope". If you're anything like me, our waiting isn't always joyful of hopeful, but a bit fearful. This morning I am pulling from the Catholic Deacon archive a homily I gave for the Second Sunday of Advent in Iraq last year. What was unique about this Mass is that it was a rare occasion during which general absolution was offered by our pastor. This was canonically possible because we were in a combat zone. 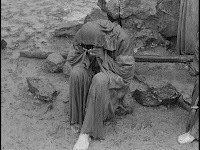 General absolution means being given the sacrament of penance without making a confession. It can only be extended in specific circumstances, like being at war. Besides, under the pastoral care of two priests and one part-time deacon were some 10,000 souls. As human beings we cannot live without hope. Unlike other creatures, we are blessed with the ability to think about the future. We cannot live without something to look forward to. To be without hope is to surrender to despair and even death. We can find all sorts of things to live and hope for: for some measure of success or security, or for the realization of some more or less modest ambition; for our children, that they might be spared our mistakes and suffering and find a better life than we have known; for a better world, throwing ourselves into politics, medicine, or military service so that future generations might be better off. Indeed, these hopes are not selfish- they are noble. Such endeavors give a measure of dignity and purpose to our lives, but they are not the ultimate reason for which we exist. In hoping for lasting peace, tranquil lives, sufficiency of food, an end to suffering, pain, and misery we are no different than people of all times and places. Just like the people of the Jewish scriptures, who awaited the advent of the Messiah, we live awaiting the Lord’s return- either at the end of time or at our death. Therefore, most of history is an advent, a waiting for the Lord. In this regard, we differ from our spiritual forbearers in two important ways. The first way we differ is by our recognition that Jesus’ entry into history at the time of the Incarnation is a partial fulfillment of God’s promises, an event that immeasurably confirms and strengthens our hope. The second way we differ is that Jesus Christ has revealed to us that God is not far off, but is already in our midst, in no way more powerfully than in the Eucharist we are celebrating. This is why Mary and John the Baptist are so important in the Advent liturgy- they recognized the new situation brought about by Jesus and serve as models for the Church in both discerning and being the presence of our Christ in and for the world. Taking our cue from Isaiah in today’s first reading, God speaks tenderly to us, citizens of the new Jerusalem (Isa 40,2). God bids us to acknowledge our sins and to renounce all that separates us from him and from each other. In a word, we are called to be reconciled. We already know that through the life, death, and resurrection of Jesus Christ, our guilt is expiated, but the effect our sins have on our lives and on our relationships continue to plague us. To reconcile means, in the first instance, to restore friendship or harmony. It also means to make consistent or congruous, to be made whole. We must, therefore, open ourselves to the reconciliation God offers us in Christ Jesus in order to prepare ourselves to receive Christ anew. St. Peter in today’s second reading calls us to consider what sort of a person each of us should be, or, should at least aspire to be. 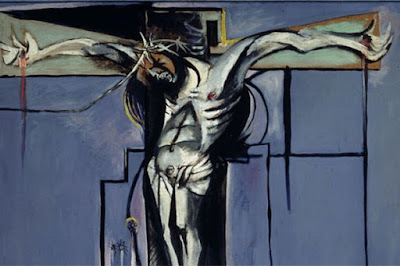 Hopefully, it is this sort of reflection we have been doing this week in preparation for receiving General Absolution. Rather than being let off easily with what might easily be dismissed as "cheap grace", receiving general absolution calls us to an even deeper self-reflection because we don’t have the aid of a confessor to rely upon and assist us. As members of the military services we are all believers in accountability and taking responsibility, as we should be. This professional virtue is one that enhances us as Christians, as members of the Church, which is Christ’s Body. We hold ourselves and others accountable and take responsibility, not primarily to assess blame or to punish, but to correct and improve ourselves and our team as we strive to accomplish our mission and realize our goals. What St. Peter gives us is a fairly thorough examination of conscience. Reading this passage reminded me of the old saying: "Live so the priest won’t have to lie about you when you die." Funny? Yes. But like much humor, it calls our attention below the surface of our lives. It calls us to a deeper reflection on those areas and patterns of behavior that are the source of our alienation from God and from each other. Most of us, when we take the time to think seriously about how we live quickly discern that, on the whole, we are pretty nice people. If we look deeper, however, we also see that we fall short of God's standards, which are unreachable on our own (Rom 3,23). There is no better recognition of this than when we acknowledge at each Mass, just before receiving communion: "Lord, I am not worthy to receive you, but only say the word and I shall be healed." God does not merely speak a word to us, but gives himself to us entirely in Jesus Christ, his Word. The words of the Baptizer announcing the Lord’s coming are summed up nicely in the lyrics of a contemporary Christian song: "He spoke the Incarnation and so was born the Son/His final word was Jesus/He needs no other one/He spoke flesh and blood so he could bleed and make a way divine/ and so was born the baby who would die to make it mine" (Michael Card, The Final Word). Therefore, we should all be very grateful that "[God] is patient" with us and gives us the time to come to repentance (2 Pet 3,9). As we receive absolution, which requires that we "firmly intend, with [God’s] help, to sin no more and avoid whatever leads [us] to sin," let us be mindful of those things we need to change, resolve to change them, and humbly acknowledge that we need God’s gracious help, as we did in our Psalm response: "Lord, let us see your kindness, and grant us your salvation" (Ps 85,8). We also require the help of our sisters and brothers to keep our resolutions. Each of us has been baptized, not just with water, but with the Holy Spirit, who is Jesus’ way of being present with us and who effects the sacraments. In baptism our sins are washed away. 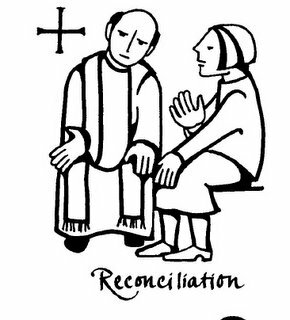 The sacrament of reconciliation, as an extension of baptism, is where God renews us when we have failed to live up to the promises we made at our baptism. So, my sisters and brothers, as we prepare to see God’s kindness and receive God’s salvation let us humbly acknowledge, "Father, we need your help, Free us from sin and bring us to life. Support us by your power," Amen (From Evening Prayer for Thursday the First Week of Advent). In seeking to wrap-up the whole Regensburg Lecture/Apostolic trip to Turkey continuum, I offer a summary of what has gone down as far as our Holy Father's approach to Islam, that also also touches on other religions. So, with a little assistance from John Allen, I have to say that the real target of Pope Benedict XVI is not Islam; it is relativism. In common with Christians, both Jews and Muslims believe in a public morality and in the truth. 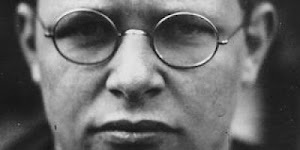 This is not to be religiously indifferent in the least because it is undeniably true that the three monotheistic faiths make truth claims that contradict each other and that what makes Christianity unique is Jesus Christ. On these no quarter will be given, nor need it be. Nonetheless, Pope Benedict sees relativism and secularism as bigger issues presently than the differences between religious believers- this also holds true for Eastern religions. 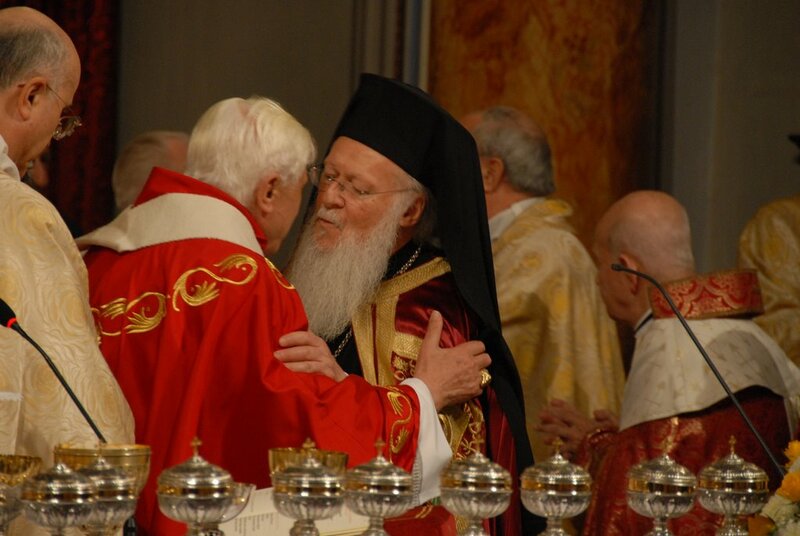 This is one reason why Pope Benedict has endorsed Fr. Hans Küng's Declaration of the Religions for a Global Ethic and the work of Küng's Global Ethic Foundation. It is the view of the Holy Father that all people of faith can and, indeed, must make common cause against secularism and its resultant relativism. The true clash of civilizations, then, is not between Islam and the West, "but between belief and unbelief". These insights, I believe, are spot-on. What many Muslims resist most is not Christianity per se- though aggressive proselytism would not go over well- but unreconstructed Western enlightenment values, which lead secularism, that, in turn, results in relativism, which leads to decadence. It also leads to the fraying of families, the core of all societies. When people in non-Western cultures speak of family, it is not merely the nuclear family, it is a broad extended family. As for Christianity in the West the Holy Father sees the need for the Church to bridge-the-gap between, on the one side, human life, sexual morality and, on the other, the environment, peace, and social justice. Again, this where a global ethic, rooted in faith, can be very important. He also wants to challenge Islamic countries to allow freedom for Christians to worship, to build churches, to own property, to organize, etc. "In Advent the liturgy repeats to us often and assures us, so to conquer our natural distrust, that God 'comes': he comes to be among us, in each of our situations; he comes to live in our midst, to live with us and in us; he comes to overwhelm the distances that divide us and separate us; he comes to reconcile ourselves with Him and with each other. He comes in the history of humanity, to knock on the door of each man and of each woman of good will, to bring to individuals, to families and to peoples the gift of fraternity, of concord and of peace. For this, Advent is par excellence the time of hope, in which believers in Christ are invited to remain in a watchful and industrious vigil, fed by prayer and the active pledge of love. May the coming Birth of Christ replenish the hearts of all Christians with joy, with serenity and with peace! "To live this period of Advent in the most authentic and fruitful way, the liturgy exhorts us to look to Mary Most Holy, and ideally to place ourselves together with her on the path to the Grotto of Bethlehem. When God knocked on the door of her young life, she welcomed him with faith and love. In the coming days we will contemplate her in the luminous mystery of her Immaculate Conception. Finding ourselves attracted by her beauty, reflective of the divine glory, may 'the God who comes' find in each one of us a good and open heart that he may overwhelm with his gifts." His Holiness, Pope Benedict XVI, 2 December 2006, First Advent Vespers. The photograph and card are creations of Ben Bell. The nice thing about being an amateur is that you can always fall back on the professionals. I was going to write a summary of Pope Benedict XVI's Apostolic visit to Turkey, but then I read Fr. Richard John Neuhaus' summary of the trip, its ecumenical implications and its implications for relations with Islam. He also discusses how the visit of Rowan Williams, Archbishop of Canterbury, to Rome earlier in November ties in with all these goings on. Therefore, I encourage you to follow the link to First Things' On the Square blog. Fr. Neuhaus provides further links to stories of interest. I am always keen to read George Weigel. While I frequently disagree with Weigel, he is an insightful and intelligent commentator who always gives one much to ponder and provides a perspective worth considering. Also worth reading is Pope Benedict's homily in Ephesus at his Mass Before the Shrine of Meryem Ana Evì. Unlike masses during other Apostolic Visits, like his visit to Germany in September, at which hundreds of thousands and even millions attend Papal masses, this mass was small, with perhaps 300 people in attendance. Our Holy Father's words were so compassionate and comforting to an embattled Christian community. "Another of my Predecessors was in this country not as Pope, but as the Papal Representative, from January 1935 to December 1944, Blessed John XXIII, Angelo Roncalli, whose memory still enkindles great devotion and affection. He very much esteemed and admired the Turkish people. 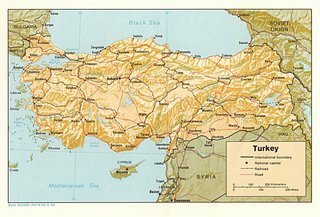 Here I would like to quote an entry in his Journal of a Soul: 'I love the Turks; I appreciate the natural qualities of these people who have their own place reserved in the march of civilization' (pp. 233-4). He also left to the Church and the world the legacy of his Christian optimism, rooted in deep faith and constant union with God. In that same spirit, I turn to this nation and, in a special way, to the 'little flock' of Christ living in its midst, in order to offer a word of encouragement and to manifest the affection of the whole Church. With great love I greet all of you here present, the faithful of Izmir, Mersin, Iskenderun and Antakya, and others from different parts of the world, as well as those who could not take part in this celebration but are spiritually united with us." I can tell you that I know many of this "little flock," not the least of which are the Catholics at St. George's parish at Trabezon, Fr. Santoro's little flock, as well as the small community at Antakya (i.e., Antioch- if you click on the map to the left it enlarges to readable size), where St. Peter was the first bishop and where Jesus' disciples were first called Christians (Acts 11,26), quite a few of whom travelled to Ephesus, are so heartened by the Holy Father's visit and the promise of his constant prayers. I almost cry with joy when I think of how much his visit, despite all the predicable media illiteracy about both its purpose and its fruits, means to the Church in Anatolia. 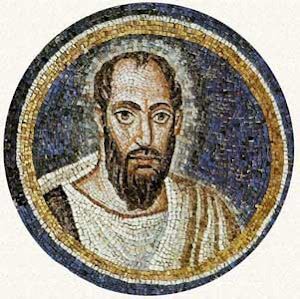 "Gathered this morning in this house of prayer consecrated to the Lord, how can we not evoke the other fine image that Saint Paul uses in speaking of the Church, the image of the building whose stones are closely fitted together to form a single structure, and whose cornerstone, on which everything else rests, is Christ? He is the source of the new life given us by the Father in the Holy Spirit. The Gospel of Saint John has just proclaimed it: 'out of his heart shall flow rivers of living water'. This gushing water, this living water which Jesus promised to the Samaritan woman, was seen by the prophets Zechariah and Ezechiel issuing forth from the side of the Temple, so that it could make fruitful the waters of the Dead Sea: a marvellous image of the promise of life that God has always made to his people and that Jesus came to fulfill. In a world where men are so loath to share the earth’s goods and there is a dramatic shortage of water, this good so precious for the life of the body, the Church discovers that she possesses an even greater treasure. As the Body of Christ, she has been charged to proclaim his Gospel to the ends of the earth (cf. Mt 28:19), transmitting to the men and women of our time the Good News which not only illuminates but overturns their lives, even to the point of conquering death itself. "All praise and thanks to God, the Father now be given/The Son and Spirit blest, who reigns in Highest Heaven/Eternal Triune God, whom earth and heaven adore/For thus it was is now and shall be evermore."